This is the second of a two-part article (read part one here) that focuses on the SWS Group, Inc. case and the interplay between merger price and fair value. In earlier cases, the Delaware Court of Chancery rejected a merger price indication in favor of its own discounted cash flow analysis. Yet, in the SWS Group, Inc. appraisal decision, instead of a decision supporting a higher fair value, the court ultimately found that the merger price was too high. This ruling highlights the risk of an arbitrage appraisal strategy and may give dissenting shareholders something to consider before invoking their appraisal rights. Also, this decision highlights how valuation analysts can sometimes arrive at significantly divergent opinions of value. The concern is that the court may view analysts as advocates for their clients—and not as advocates for their valuation opinion. This is the second of a two-part article published by QuickRead regarding the SWS Group, Inc. case, a Delaware case where the court found that the merger price was not the fair value price. The article reviews aspects of the case in more detail. The respondent expert used management projections to prepare its DCF analysis and fair value conclusion. That is, the respondent expert used three-year financial projections prepared by management without any changes. The petitioner expert made several adjustments to the three-year management projections of cash flow for SWS Group. As a result, the expert added two years to the management projection to arrive at normalized financial performance. The petitioner’s expert argued that at the end of three years, SWS Group profit margins were projected to be much lower than projected peer company margins. According to the expert, the SWS Group financial projections were not indicative of a steady state of financial performance for the business where profit margins were in line with guideline company profit margins. The Chancery Court rejected the claim that the peer companies were comparable to SWS Group. The Chancery Court rejected the premise that SWS Group would have been able to realize consistent straight-line growth for an additional two years, after which SWS Group would have reached a profit margin much higher than management projections. The Chancery Court decided to use management’s three-year projections as the basis for its own DCF analysis—essentially agreeing with the approach of the respondent expert. The petitioner expert argued that the exercise of the warrants was part of the operative reality of SWS Group. The expert reasoned that the warrant exercise should be considered because it occurred prior to the merger. The expert also argued that $117.5 million of excess regulatory capital should be added to fair value. In order to account for the excess regulatory capital, the expert added $87.5 million in year one and $30 million in year three to the DCF cash flow. The respondent expert argued that the warrant exercise should be ignored and that the subsequent changes to the SWS Group capital structure should not be considered. As a result, the respondent expert claimed that the fair value of SWS Group should include $0 as the amount of distributable excess regulatory capital. The Court decided that the warrant exercise was a part of the operative reality for SWS Group as of the date of the merger. It essentially agreed with the petitioner expert, that because the warrants had been exercised three months prior to the close of the merger, the warrant exercise was not contingent on the merger itself. In SWS, the Chancery Court found that Hilltop and Oak Hill acted in their own self-interest by exercising the warrants. The petitioner expert argued that excess regulatory capital must be treated similarly to excess cash that is not redeployed into the business; namely that the amount of excess capital should be added to the value of the DCF analysis. The respondent expert argued that it is improper to add back the excess regulatory capital. That is because making a provision for a distribution assumes that SWS Group can distribute $117.5 million to shareholders with no adverse impact on business performance. And, that distributing $117.5 million would not impair the ability of SWS Group to meet management projections. The Chancery Court noted that the warrant exercise did not inject any money into SWS Group, since that money had already been received upon execution of the Credit Agreement in 2011. The Chancery Court acknowledged that the exercise of the warrants significantly changed the capital structure of SWS Group, cancelling $87.5 million in debt in exchange for more shares issued. The exercise of the warrants did not create excess capital in the sense of excess cash that was beyond what was needed for business operations. Consequently, the Chancery Court rejected the petitioner expert’s argument that $117.5 million of excess regulatory capital would be distributable. For the third and final adjustment, the petitioner expert reduced management projected interest expense from the management projections. The Chancery Court agreed with this assessment and decreased interest expense in its DCF analysis accordingly. The petitioner expert used a three percent terminal growth rate for his DCF analysis. The respondent expert used a 3.35 percent terminal growth rate. According to the respondent expert, the 3.35 percent terminal growth rate was based on the midpoint between the long-term expected inflation rate of 2.3 percent and the long-term expected growth rate of the economy of 4.4 percent. In rebuttal, the petitioner expert adopted the 3.35 percent terminal growth rate. The Court also adopted 3.35 percent as the terminal growth rate for its DCF analysis. When applying this approach, it is recommended that a valuation analyst use prospective information to estimate the long-term growth rate. For example, if a long-term projection for inflation is three percent (just for reference purposes, U.S. inflation has averaged three percent per year as measured from 1926 to 2016 according to the 2017 Valuation Handbook—U.S. Guide to Cost of Capital), and real gross domestic product (GDP) is projected to increase by 2.5 percent on average in the next 20 years. The nominal long-term GDP growth rate can be estimated by adding three percent to 2.5 percent, which equals 5.5 percent. Based on this example, the 5.5 percent rate is generally considered a perpetual growth rate ceiling. In theory, a company cannot exceed the long-term growth rate of its respective economy into perpetuity. The petitioner expert and the respondent expert both used the capital asset pricing model to calculate cost of equity. Both parties agreed that the risk-free rate of return was 2.47 percent, but they disagreed regarding the equity risk premium, the equity beta, and the size premium. The petitioner expert and the respondent expert disagreed about whether the historical equity risk premium (ERP) or supply-side ERP should be used. The respondent expert used the historical ERP of seven percent. The petitioner expert used the supply-side ERP of 6.21 percent. The Chancery Court ruled that the supply-side ERP was the proper metric. This ruling appears to be consistent with what the Chancery Court has recently recognized as the default ERP valuation variable in similar actions. Ibbotson and Chen studied the components of historical equity returns from 1926 to 2000 using supply-side factors. The supply-side factors included: inflation, earnings, dividends, price-to-earnings (P/E) ratio, dividend payout ratio, book value, return on equity, and GDP per capita. Ibbotson and Chen found that the supply-side ERP was lower than the realized ERP during the period from 1926 to 2000. The reasoning behind the lower supply-side ERP is understood to be due to underlying and contributory factors, some of which cannot continue into perpetuity. It is generally understood that this supply-side ERP calculation is theoretically superior to the historical ERP. The petitioner expert used a beta of 1.10, whereas the respondent expert used a beta of 1.18. One of the primary issues was the consideration of an appropriate lookback period. The respondent expert used a two-year lookback period of SWS Group weekly stock returns ending on January 3, 2014. This lookback period included the date preceding the announcement of Hilltop’s initial offer. The petitioner expert derived his beta, in part, by reference to peer companies. Although the Court found the peer group of guideline companies to be unreliable with regard to the Market Approach, the Chancery Court agreed with the petitioner expert’s beta conclusion. The Chancery Court rejected the respondent expert’s beta estimate due to concerns over the behavior of SWS Group stock during the lookback measurement period. The Chancery Court cited the noise amongst analysts about a possible acquisition prior to January 3, 2014, and the increased volatility of SWS Group’s stock price as evidence that the respondent expert’s beta was unreliable. The Chancery Court also noted that a five-year monthly lookback resulted in a beta of 0.81 and that a five-year weekly lookback resulted in a beta of 1.09. As a best practice, it is often important to examine multiple lookback periods and frequencies when determining a beta estimate. This is what the Court did when it examined the five-year monthly and five-year weekly beta estimates of SWS Group. Ultimately, the goal of the valuation analyst should be to estimate a beta that fairly represents the systematic risk and stock price variability of the subject company as compared to the broad equity market, over a relevant time period. The analyst should keep in mind that the beta estimate is the mean of a statistical distribution that results from a regression analysis. In the instant case, the Chancery Court considered the respondent expert’s beta estimate unreliable primarily because merger discussions were known and knowable during the lookback period. The Court found that the merger discussions had an impact on the behavior of SWS Group stock price. The petitioner expert applied a size premium of 2.69 percent to its cost of equity model. This alpha factor was based on the decile that corresponded with the expert’s preliminary DCF valuation of $464 million. The respondent expert selected a size premium of 4.22 percent. This was based on the market capitalization of SWS Group prior to Hilltop’s offer, which was approximately $198.5 million. The respondent expert criticized the petitioner expert’s size premium selection, saying that the method used is circular. According to the expert, such a method is only used for private companies when market capitalization is not easily determined or unreliable. In reply to the respondent position, the petitioner expert acknowledged that using the market capitalization to estimate a size premium is appropriate for public companies. However, the petitioner expert argued that the warrant exercise substantially altered the SWS Group market capitalization. This altered market capitalization resulted in a flawed and inappropriate metric to use for determining the proper size premium. The Chancery Court admitted that both parties presented persuasive arguments. Ultimately, the Court decided to take the midpoint of the two approaches. The Chancery Court selected a size premium of 3.46 percent in its DCF analysis. As previously mentioned, it is generally accepted that, based on empirical observation, small companies are a greater investment risk than larger companies and, therefore, smaller companies have greater cost of capital than larger companies. In other words, there is a significant (inverse) relationship between size and historical equity returns. However, there are many observations of the size-related phenomena theory, and of the CRSP size premium data, used by a majority of analysts. The small capitalization premium has disappeared in recent years (the empirical evidence supports varying size-related premium at different points in time, therefore, in certain time periods it would not be surprising for small capitalization stocks to provide lower investment returns than larger capitalization stocks). The premium, at the smallest level, is unduly influenced by stocks of less than five million dollars in market capitalization and stocks that trade at prices less than two dollars per share—the most statistical noise in the CRSP size premium data is in the 10th decile classification and its smaller subcategory classifications, this factor may not be as relevant if the subject matter company is a very small business that is similar to the companies that populate the 10th subcategories of 10y and 10z. Other factors, specifically liquidity or lack thereof, provide important detail that analysts should consider in the decision to use, or not use, the CRSP size premium data. In certain matters, the Chancery Court has heard criticisms related to the application of size-related premiums. On one such matter, the Merion Capital L.P. and Merion Capital II L.P., v. Lender Processing Services, Inc. (Merion Capital), one of the experts did not apply a size premium. Because the respondent expert did not add an equity size premium, and the exclusion of the size premium favored the petitioner, the Chancery Court accepted the respondent expert decision not to add an equity size premium. According to the petitioner expert, because “the illiquidity premium reflected in the [CRSP] size premium data for small cap stocks is akin to a liquidity discount” such a discount “must be eliminated in a fair value determination—much like a discount for lack of marketability or minority interest.”33 Because of this embedded liquidity issue in the CRSP size premium data, the petitioner argued that the size premium should be adjusted to account for the embedded liquidity discount. In Just Care, the Chancery Court found that the petitioner expert was correct that a general liquidity discount cannot be applied in an appraisal rights proceeding. Such a discount generally relates to the marketability of the company’s shares and is, therefore, prohibited. In Just Care, the Chancery Court ruled against the petitioner theory that the embedded liquidity premium in the Ibbotson’s size-related data should be adjusted in order to develop a cost of capital estimate. 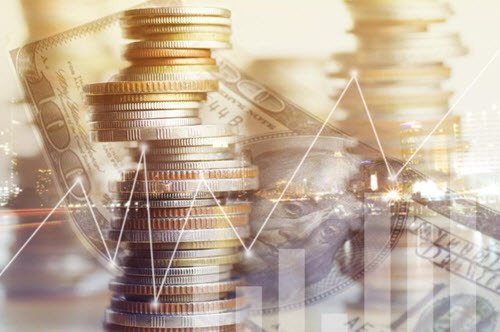 The Chancery Court found that the liquidity effect at issue relates to the company’s ability to obtain capital at a certain cost and not a shareholder level liquidity discount issue. This finding suggests that the liquidity effect is related to a company’s intrinsic value as a going concern, and it should be included when calculating its cost of capital. Although the Chancery Court ruled against the petitioner argument in Just Care, it did not completely dismiss the idea of a challenge. The Chancery Court ruled that it may adjust a company’s size premium where sufficient evidence is presented to show that the company’s individual characteristics make it less risky than would otherwise be implied under its corresponding decile classification based on size alone. The Chancery Court concluded that because petitioners did not provide compelling evidence for treating Just Care as a decile 10a company, it ruled that the decile 10b was appropriate based on the company size. In a matter that bears similarity to certain other recent fair value decisions, in SWS, the Delaware Court of Chancery rejected a merger price indication in favor of its own DCF analysis. When the Chancery Court develops its own valuation analysis, such as it did in SWS, it is a clear indication that it did not trust the integrity of the respective experts’ valuation findings. In the instant case, the valuation analysts arrived at fair value opinions that were approximately 86 percent apart. Several of the petitioning shareholders had acquired shares in the subject company with the hope of perfecting an appraisal arbitrage strategy. The Chancery Court concluded on a $6.38 per share fair value, approximately 7.8 percent less than the merger price of $6.92. While arbitragers could certainly be encouraged by the Dell I decision, the appeal and reversion back to the Chancery Court in Dell II and the SWS decision serve as discouragement for arbitrage strategy purveyors. In SWS, all parties involved, including the Court, rejected the merger price at issue as an indication of fair value. In Dell II, the Supreme Court encouraged the use of the merger price as an indication of fair value. One of the primary differences between Dell II and SWS, aside from the Hilltops partial veto power, was the argument that the SWS Group did not engage in a vigorous sales process. Perhaps if the sales process were a bit more fulsome, the Chancery Court would have considered the merger price to be more persuasive. By performing its own analysis, the Chancery Court arrived at several conclusions related to valuation variables. There are several interesting conclusions provided by the Chancery Court in SWS. First, the Chancery Court did not agree with the use of a comparable guideline company analysis. The reasoning for exclusion of the Market Approach included that the comparable companies were divergent from SWS Group in terms of size, business lines, and performance. Assuming the guideline companies were comparable in terms of business lines, there are methods by which pricing multiples can be adjusted. One such adjustment is based on size differential. As referenced above, using the pricing multiple adjustment equation, an 8.2 times EBITDA pricing multiple is adjusted to 4.6 times EBITDA by accounting for the impact of size on the publicly traded pricing multiple. It is not clear if size adjusting pricing multiples would have persuaded the Chancery Court, but is it a procedure that an analyst may consider. Second, the Chancery Court was more persuaded by management projections prepared prior to litigation than it was by adjusted projections prepared after the fact—that is, prepared for litigation purposes. On one side, the expert used unadjusted management projections. On the other side, the expert made several adjustments. In certain cases, there are no available management projections, and it may be reasonable for a valuation analyst to prepare de novo financial projections. However, in the instant case, the fact that SWS Group was underperforming financial projections was too much of a hurdle to substantiate an optimistic projection prepared for litigation. Third, the decision to add back an excess of cash must agree with operative reality that there is cash to distribute. The Chancery Court ruled against adjustments to provide for a distribution of excess of regulatory capital to shareholders related to a warrant exercise. The warrant exercise occurred a few months prior to the merger, but it did not provide excess cash to distribute. By exercising the warrants, Hilltop and Oak Hill relieved debt obligations of SWS Group and received equity in return. No new cash position was created, and, therefore, it is puzzling as to why the petitioners argued for a cash distribution. Fourth, the ERP selection should be a rather noncontroversial variable selection. That is, if the decision regarding the selection is between historical ERP and supply-side ERP, practitioners will typically select the supply-side ERP indication. There are other opinions related to an appropriate ERP selection, but it would be surprising if a valuation analyst would be able to support the historical ERP in a Delaware Court of Chancery proceeding. Fifth, there are alternative analyses a valuation analyst could consider in order to estimate the SWS Group beta. The analyst could consider a lookback period longer than two years, which would allow the analyst to capture data prior to any public discussions regarding a potential merger. The analyst could consider a lookback period prior to public knowledge of merger discussions, which might permit the analyst to estimate a beta based on a period during which merger discussions would not have potentially affected the behavior of the SWS Group stock price. By examining the stock price behavior before and after merger discussions became public knowledge would allow the analyst to determine whether there was, in fact, a meaningful change in the behavior of the SWS Group stock price. And, finally, while not a primary issue in SWS, in other matters, the Chancery Court has heard arguments as to why a size premium may not be relevant to a fair value matter. Or, even if it is relevant, the size premium may need to be adjusted to account for observed embedded liquidity concerns. In SWS, both experts applied a size premium to develop cost of equity estimates. The Chancery Court found that both parties made persuasive arguments and, therefore, selected a midpoint between the parties estimates. In Re SWS Group, Inc., 2017 WL 2334852 at *11. See Morningstar, Ibbotson SBBI 2013 Valuation Yearbook (Chicago, IL: Morningstar, Inc., 2013), 52. The year 2013 was the last year that Morningstar published the valuation yearbook reference book and the last year that the valuation yearbook addressed estimating growth rates. Roger G. Ibbotson and Peng Chen, “Long-Run Stock Market Returns: Participating in the Real Economy,” Financial Analysts Journal (January–February 2003): 88–98. James R. Hitchner, Shannon P. Pratt, and Jay E. Fishman, A Consensus View—Q&A Guide to Financial Valuation (Ventnor City, NJ: Valuation Products and Services, 2016), 82. See Duff & Phelps, 2017 Valuation Handbook: U.S. Guide to Cost of Capital, 3–34 through 3–36. Merion Capital L.P. and Merion Capital II L.P. v. Lender Processing Services, Inc., C.A. No. 9320-VCL, 2016 WL 7324170 at *29 (Del. Ch. Dec. 16, 2016). Gearreald v. Just Care, Inc., C.A. No. 5233-VCP, 2012 WL 1569818 (Del.Ch. April 30, 2012). Jeffrey A. Jensen is an associate at Willamette and is located in the firm’s Chicago office. He is a licensed Certified Public Accountant (CPA) in the state of Illinois. Mr. Jensen has passed Level II of the Chartered Financial Analyst (CFA) program sponsored by the CFA Institute. He is a member of the American Institute of Certified Public Accountants (AICPA) and a member of the Forensic and Valuation Services (FVS) section of the AICPA. He is also a member of the Business Valuation Association in Chicago. Mr. Jensen can be contacted at (773) 399-4317 or by e-mail to jajensen@willamette.com. Kevin M. Zanni is a valuation director at Willamette and is located in the firm’s Chicago office. He is an accredited senior appraiser (ASA) of the American Society of Appraisers, accredited in business valuation; a certified business appraiser (CBA) of the Institute of Business Appraisers; a certified valuation analyst (CVA) of the National Association of Certified Valuators and Analysts; and a certified fraud examiner (CFE) of the Association of Certified Fraud Examiners. Mr. Zanni is a past president of the Chicago chapter of the American Society of Appraisers and is a current board member of the Business Valuation Association of Chicago. He has written numerous articles on the subject of security valuation and economic analysis. He has spoken on economic and business valuation issues to numerous professional groups and associations. Mr. Zanni can be contacted at (773) 399-4333 or by e-mail to kmzanni@willamette.com.